Vintage fans take note - Sir Paul is here! 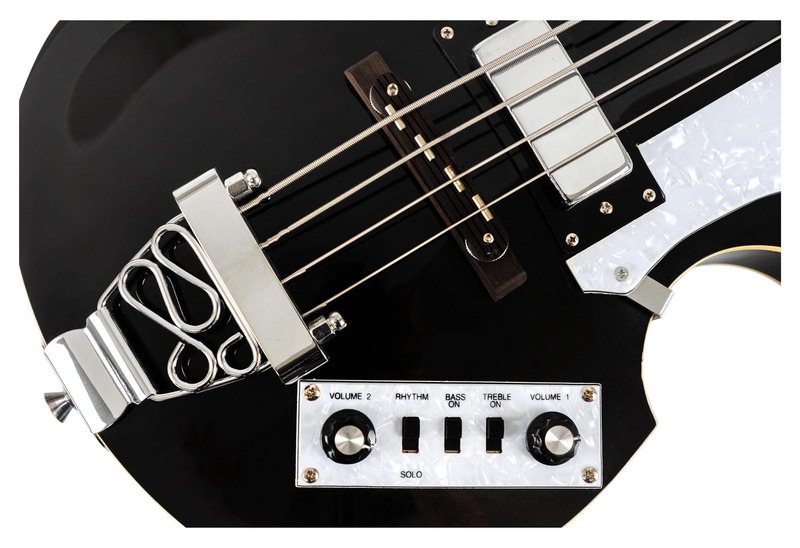 One of the most legendary basses in a unique vintage look is now available from Rocktile. 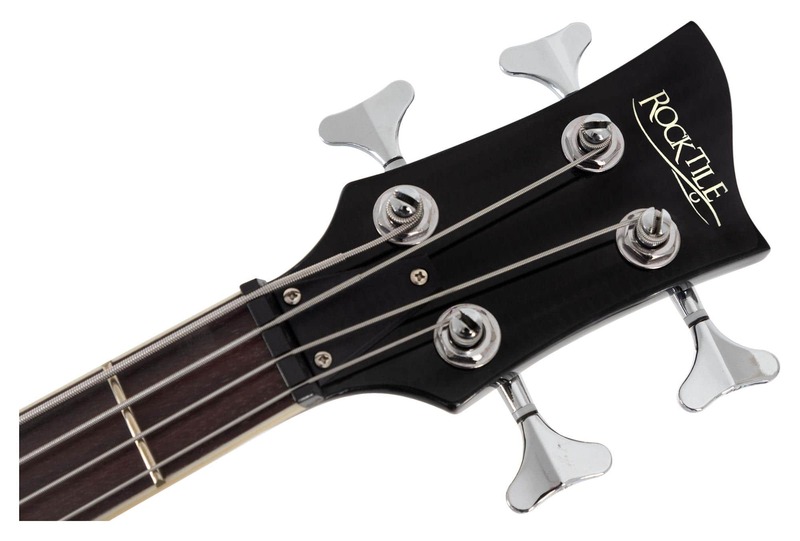 The hollow body with its famous violin bass shape has a lot to offer both technically and in terms of sound. 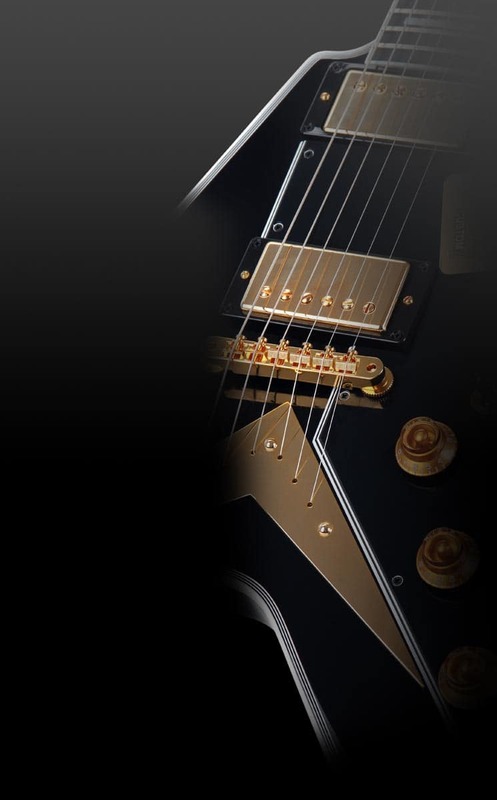 The arched basswood body with flamed maple top together with the rosewood fingerboard on glued maple neck provides a homogeneous sound - ideal for the rumbling, crisp sound of the 60's. 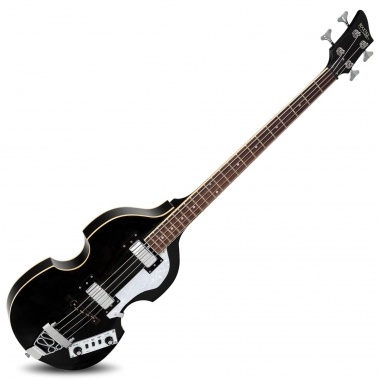 Thanks to the shorter scale length, the bass fits perfectly into smaller hands. 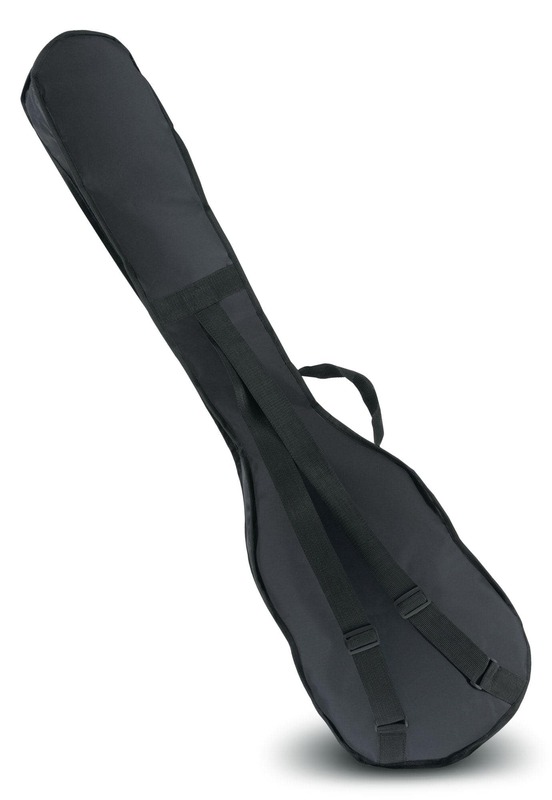 Thus it is an excellent choice for younger folks without detracting from the sound quality. 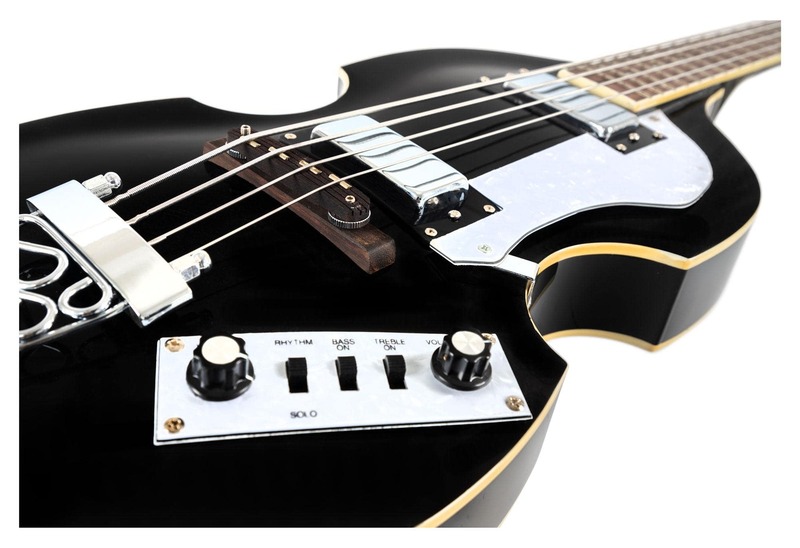 The two humbuckers, 2 volume controllers and tone controls provide exactly the sound that an electric bass should deliver - massive deep tones yet very concise especially when the pick-up switch of is set from "rhythm" to "Solo". 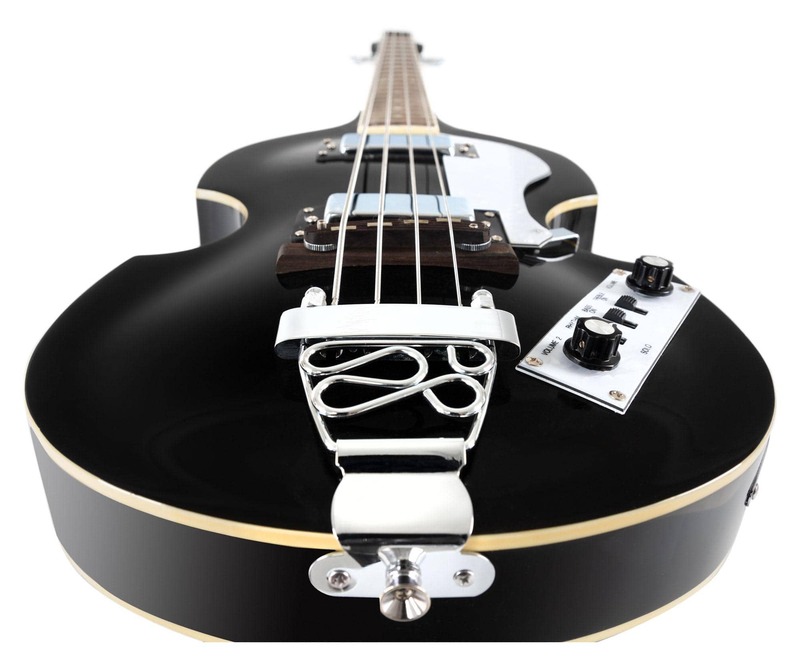 Besides its technical features it is mainly the solid construction with sturdy, yet fancy looking DieCast tuners and a pretty black colored and sealed with high polish coating that is rounding out the "Sir Paul" into a thoroughly enjoyable instrument!